From classic to kitschy and romantic to bizarre, vintage retro art posters cover the gamut of themes and subjects often referred to as the good old days. 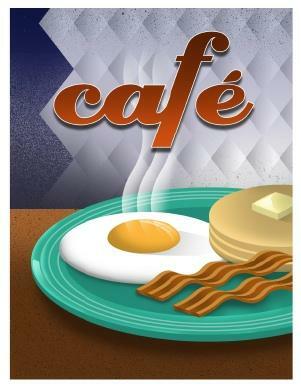 Whether you are a retro art poster collector or simply have one or two favorites hanging in your home, you know the allure of these posters of yesteryear. Vintage art posters often bring back fond memories of a favorite movie, a long forgotten treat or a trip to the corner ice cream shop for a $.15 root beer float. Vintage posters are growing steadily in popularity as more people realize the strong appeal and affordable pricing of many of these works of art. Naturally, collectors look for original posters but many people purchase prints to enjoy this fascinating art form in their home. From the surreal to the refined, there are art posters to suit every style and decor. Click on the following links to view examples of vintage art posters that range from fun and funky to classic and elegant, with a few pop art, horror and really strange ones included. In 1967 Milton Glaser's portrayal of Bob Dylan's flowing hair in a rainbow of colors set of a psychedelic poster craze throughout the United States. Pop art met surrealism in this memorable record album insert. Andy Warhol's Flesh from the 1960s. The famous World War II poster of Rosie the Riveter We Can Do It! The Internet is a wonderful resource for locating vintage art posters. The following is a sampling of the excellent websites available. Included in these original posters are works by the following artists. Hanging vintage retro art posters in your home is a great way to add a touch of nostalgic charm to any room of your house.